Today we are excited to present the BIG monthly Blog Hop that Papertrey Ink hosts for all of its talented customers to show off their skills! The Blog Hop is an ALL DAY EVENT! An Inlinkz list is posted below and you can add your link anytime up until 11:30PM ET. And don’t worry if you didn’t get a chance to make a project and play along, there is a contest for non-participants as well over in our forum in the designated thread. I look forward to seeing all of your creativity! It is so true that many of us are ready for springtime and the Easter holiday ahead after this snowy and cold winter. This table set for Easter has so many great details: Easter eggs and bunnies hiding in the grass, bouquets of flowers, and a fresh color palette! What inspires you in this photo? -Participating bloggers can add their link to the appropriate list here anytime between 10am ET and 11:30pm ET on February 25th within the InLinkz list below. The title of your post should be “Papertrey Ink February Blog Hop Challenge”. 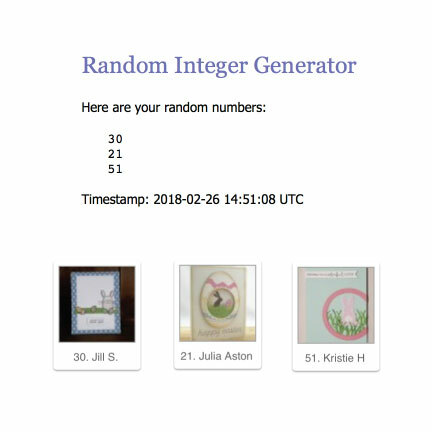 -The three random blogger participant winners will be announced on morning of February 26th on our forum and highlighted here on the Papertrey Ink blog! 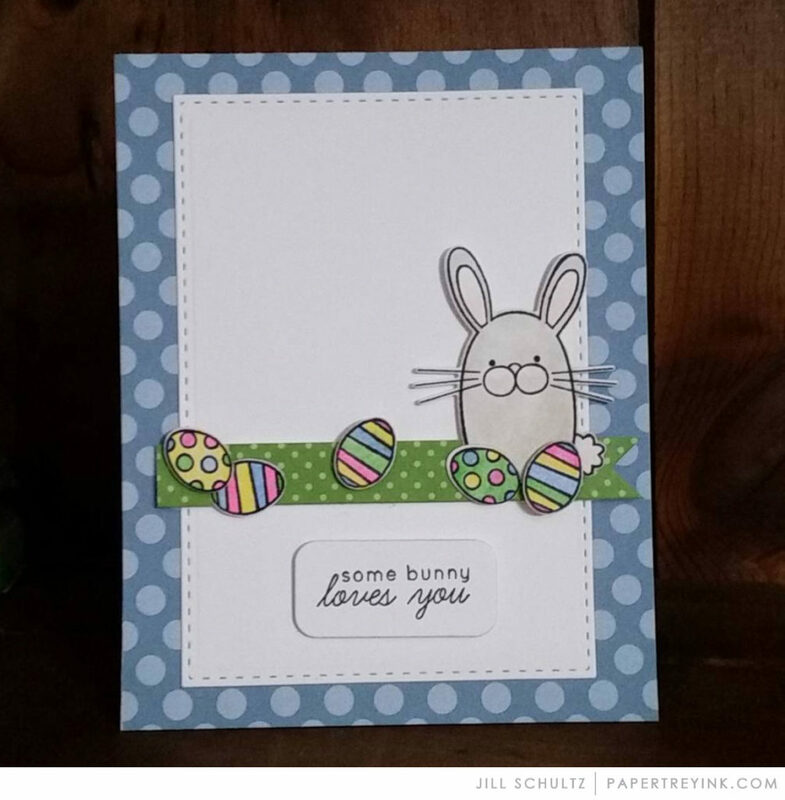 Jill Schultz created such a fun Easter scene on her card using the cute bunny and eggs from the Hippity Hoppity stamp set. 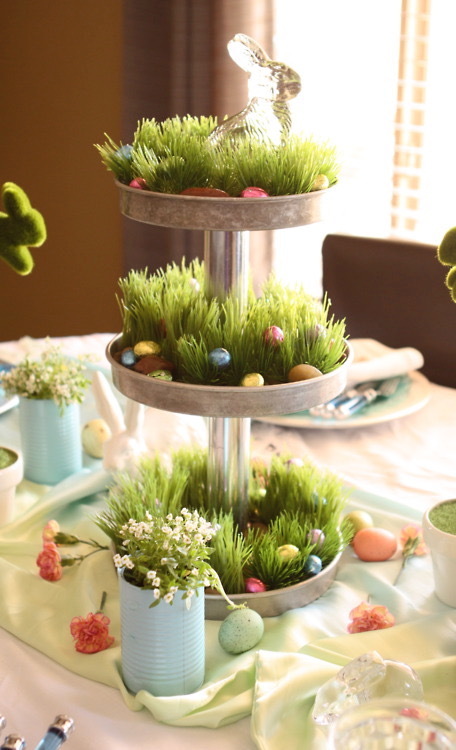 We love how she used the green polka dot banner to represent the grass where the brightly colored eggs are “hiding”. Julia Aston created this adorable scene inside an Easter egg for her project and we can’t get over the creativity and cuteness! 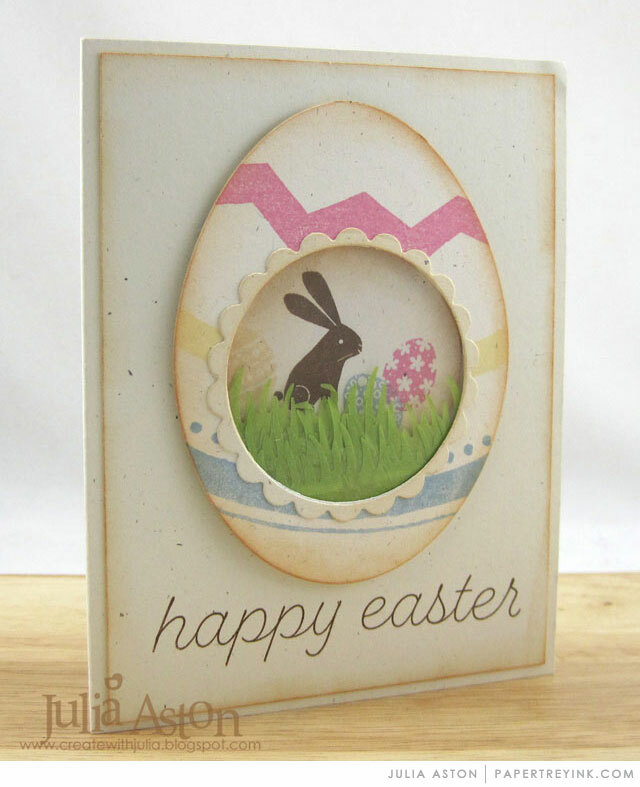 She didn’t miss a detail like the layered grass die cut from tissue paper and the scalloped frame around the opening on the egg. 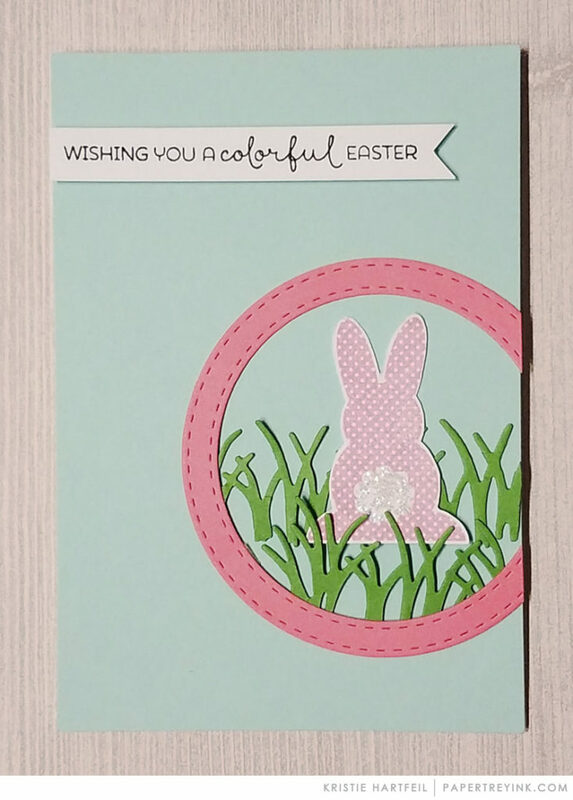 Kristie Hartfeil hid a cute bunny in some Easter grass on her card. The color combination is so pretty and the sweet details like the glitter on the bunny’s tail really make this card shine. If you check out her blog post, she has a second card inspired by the blog hop to share as well! Love the green in this image! So looking for some Spring in the frozen MidWest. All of the Easter cards are so inspiring! The colors are just beautiful and I love how they range in design from traditional to contemporary. You all are amazingly creative! What a great day for the blog hop as it feels almost like spring, it finally got up to zero today. So happy. So creative! Each and everyone is so special! The February Blog Hop was truly a breath of Springtime! I found so much inspiration as I hopped to all 61 cards and leaving comments. ??? It was really nice to connect with some kindred spirits along the way, too! I’m looking forward to hopping along in the future, as well! ?